Hot summer weather is visiting most of the US, so we’re all searching for cool, refreshing beverages. One of the best (and prettiest) is a drink that was extremely popular in the 1930s and 40s: The Bacardi Cocktail. 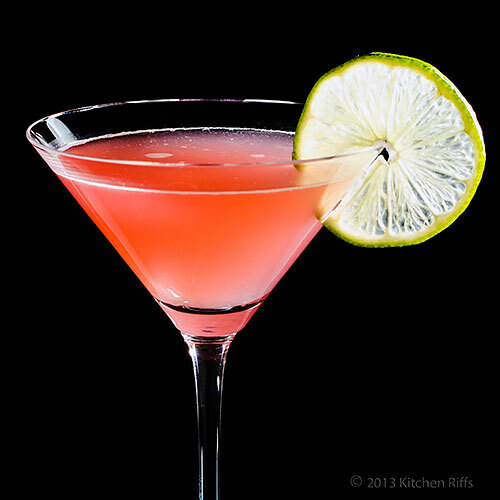 It combines white rum with freshly squeezed lime juice to create a tangy elixir that’s sweetened with grenadine. 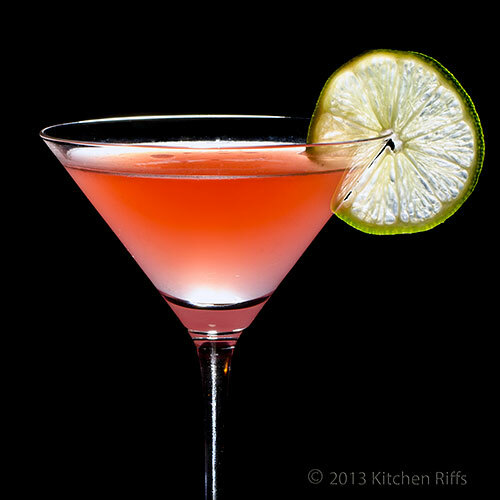 This drink is essentially a Classic Daiquiri, with grenadine replacing sugar or simple syrup. But there’s one big difference: For a daiquiri, you can use any brand of white rum. For a Bacardi Cocktail, you must use the Bacardi brand. Not because Bacardi has any special flavor characteristics that are essential to this drink, but because it’s illegal to use anything else. At least, that’s what the New York Supreme Court decided in 1936. As Eric Felten tells us in a June 2006 Wall Street Journal article, ”In the years just after Prohibition, the Bacardi Cocktail . . . threatened to unseat the king of cocktails.” The reigning monarch then (and arguably now) was the Martini. But the Bacardi Cocktail had taken the US by storm, and was popular coast to coast. It was so fashionable that master mixologist Dale DeGroff calls it the 1930s equivalent of a Cosmopolitan. So of course people were always walking into drinking establishments and asking for a “Bacardi Cocktail.” Sometimes when the bartender ran out of the Bacardi brand, he made it with any white rum he happened to have on hand. And if a bartender uses a halfway decent rum, you can’t tell the difference in this drink. Or at least I can’t (don’t ask me how I know — there’s that legal issue, you see). The Bacardi company got peeved, because its flagship product was losing sales to other brands. So the Compañía Ron Bacardi brought suit against two then-prominent establishments — the Barbizon-Plaza Hotel (today Trump Parc) and the Wivel Restaurant. In April 1936, the New York Supreme Court (which is a trial court, by the way) handed down its ruling in favor of Bacardi. Said Justice John L. Walsh, “Beyond a reasonable doubt subterfuge and a fraud is subjected on the purchaser when Bacardi rum is left out of a drink listed as a ‘Bacardi’ cocktail.” So there! I like this drink with 2 parts rum to 1 part lime juice. Some people prefer a 3:1 ratio, so feel free to experiment. How about the grenadine (which adds sweetness, a tiny bit of flavor, and gorgeous color)? I generally use 1 to 2 teaspoons of grenadine per drink. Others like quite a bit more sweetness, however — maybe twice the amount I specify. So again, some experimentation is advisable. BTW, I strongly recommend making your own grenadine. It takes just a few minutes, and I tell you how in my post on Homemade Grenadine. The most popular commercial brands don’t even contain pomegranate — which is supposed to be the key ingredient in grenadine! Commercial brands are also loaded with chemicals (just read the labels). More on grenadine in the Notes. This recipe takes a few minutes to make, and serves 1. Add the freshly squeezed lime juice to a cocktail shaker half-filled with ice. Add the rum and grenadine. Shake hard until the shaker frosts — 20 to 30 seconds. Strain into a cocktail glass (preferably one that’s been chilled) and add optional garnish if desired. If you taste Bacardi white rum neat, it doesn’t have all that much flavor, IMO. But when you mix it in cocktails, the flavor blooms and is very pleasing. Homemade grenadine doesn’t have the same garish, fluorescent red color as most commercial brands. If you really miss that look (and it’s oddly appealing, I admit), just add some red food coloring when you make your grenadine. That’s what the commercial guys use. The cocktail in these photos was made with homemade grenadine, so its color is more a soft rose rather than bright red. Speaking of store-bought, Rose’s Grenadine is the ready-made brand you’re most likely to find in the US. 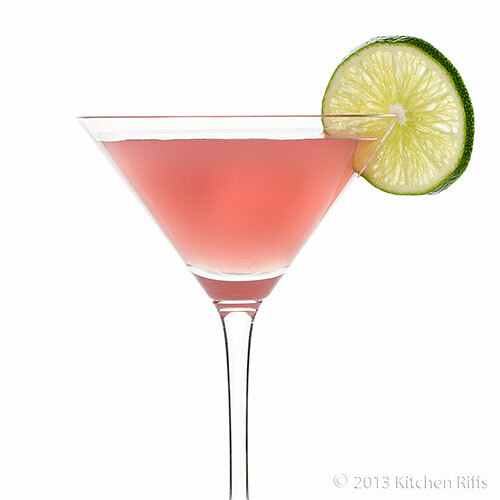 Unlike Rose’s Lime Juice — which is superb in its own way, and necessary for making a proper Gimlet Cocktail — Rose’s Grenadine just isn’t very good, in my opinion. Loads of chemicals and “flavoring,” but no pomegranate juice (which is the soul of grenadine)! So make your own — it’s easy. If you really want to buy ready-made grenadine, Sonoma Syrup Company does sell an excellent one, but it’s a bit pricey. There’s a variation of the Bacardi Cocktail called the Bacardi Special Cocktail, which uses gin in addition to rum. To make it, you use half as much gin as rum. So my basic recipe would be: 1 ounce of gin, 2 ounces of rum, 1 ounce of freshly squeezed lime juice, and 1 to 2 teaspoons grenadine. You may want to adjust the lime juice downwards just a tad (using maybe ¾ ounce instead of a full ounce). BTW, the last week in June (i.e., now) is when the US Supreme Court typically hands down decisions in some of its most important cases (their judicial year runs from October through June). So if you have an interest in any of the cases being decided, it might be fitting to serve the Bacardi Cocktail, a drink with its very own legal history. Of course, you’ll use the Bacardi brand of rum. You don’t want to run afoul of the law — particularly not this week! Bacardi had just become established in the US when Prohibition arrived (in 1919). The company then had 60,000 cases of rum in the US that it had to get rid of. So they issued “wet stock,” dissolving the US operation by distributing one case per share. What a deal! Interestingly, Prohibition proved to be a good thing for Bacardi overall. It encouraged US tourists to visit Cuba in droves, where they slaked their thirst with Bacardi rum. So Bacardi became a highly sought-after spirit — one with particular cachet since only those with the means to travel could enjoy it. When Fidel Castro’s government seized the company’s Cuban assets in 1960, Bacardi moved its operations out of the country. By that time, Bacardi already had many facilities up and running elsewhere, and had moved all of its intellectual property (along with the strain of yeast used to make its rum) out of Cuba. The Cuban distilleries that used to produce Bacardi rum now make a brand called Havana Club, which is marketed in most of the world except the US (because of a US trade embargo with Cuba). The Cuban government originally wanted to market this rum under the “Bacardi” label, but they lost trademark battles on that all over the world, so they switched to the Havana Club name. The company that originated the Havana Club brand was established in Cuba in 1878 by José Arechabala, and was once a rival to Bacardi. Some rum mavens claim that Cuba’s Havana Club has better flavor than Bacardi, though it doesn’t use the particular yeast strain that put Bacardi on the map. I’ve not tasted it, so I don’t know. Readers who live in parts of the world where you can buy both brands (i.e., most everywhere except the US) might want to do your own taste test. In any case, Cuba’s Havana Club is made from a different formula than Bacardi (it uses a method developed by the Arechabala family). Complicated? Sí. But wait, there’s more! In the 1990s, Bacardi Limited bought what it called the “legitimate rights” to the Havana Club brand from the Arechabala family. Based on this, Bacardi began claiming the right to use the “Havana Club” name in the US. Problem was, the Arechabalas had let the US trademark lapse in 1973, and Cubaexport had reregistered the mark in 1976. So Bacardi again resorted to the courts to sort things out, as it had in 1936. For years, litigation dragged on between Bacardi and Pernod Ricard, which distributes Havana Club on behalf of Cubaexport (it owns rights to sell the brand in all the world except the US — being prevented from selling here because of the trade embargo). Several US courts decided in favor of Bacardi. Finally, last year, the US Supreme Court declined to hear an appeal — thus handing Bacardi a victory. (To make matters even more convoluted, the World Trade Organization has come down against the US law that allowed Bacardi to prevail in court. But Congress hasn’t changed that law yet — so for now, Bacardi is still on top legally, at least in the US.) Anyway, Bacardi has plans to market its own “Havana Club” brand of rum — one that’s trademarked in the US, but not elsewhere. Whew! After going through all that explanation, I need a drink (or two). A drink like, say, the Bacardi Cocktail. Is Bacardi really the very best-tasting rum for this drink? I doubt it — there are many other great white rums out there. But it’s the one I use (I’m a law-abiding citizen, after all). And I would never suggest you try another rum in this drink. Never. The story behind this drink is as fascinating as the fact that it has grenadine syrup, something that was given to me as a kid, when soft drinks were hard to come by in this country (argentina). Grenadine and club soda was the thing! The color is amazing! Hi Paula, this one really has a lot of history behind it! And I agree it's fascinating. Grenadine is really good stuff and easy to make - you owe it to yourself! Grenadine and club soda sounds delish - might be nice with lemon-lime soda too. Thanks for the comment. Hi Suborna, Texas can be brutal in the summer - I lived in Dallas for a few years, so I know what you mean. And nothing better than being in west Texas in 100+ degree heat with a 40 mile-an-hour wind blowing dust in your face (it actually sticks in your teeth!). ;-) Thanks for the kind words, and comment. This sure is a pretty and refreshing cocktail. Wow, didn't know The Bacardi Cocktail has such a history....and a court case too. :) What a drink. I'm not sure if my taste buds can tell between a bacardi and another brand of rum. Now, I want to find out. Guess I'll need to do a blindfold taste test. The first cocktail I fell in love with John...although it was easily years between that first love and my recent re-discovery and part of the joy of re-discovery was in the making of my own grenadine. So easy and puts that pink bottled stuff to shame! Beautiful photo John! I would love one of those drinks right now! Hi Amy, the blindfold taste test is always good. ;-) Thanks for the comment. Hi Barb, isn't the flavor of your own grenadine so much better? None of that weird cherry-like flavor so many of the commercial ones have. Thanks for the comment. Hi Alyssa, it's a great drink - if not right now, you probably need one later today (or this weekend). :-) Thanks for the comment. Hi Marta, it's really interesting how many drinks do have a history. This one is particularly interest, at least to me. Thanks for the comment. Hi Uru, this drink has pretty good flavor, but it's the color I particularly like! Thanks for the comment. Wow, I just got an education! I thought you were joking about the illegal stuff, so interesting! And I love the homemade grenadine, very cool indeed! Interesting background about the Bacardi Cocktail and I'm so glad the company was able to destroy their yeast recipe before Castro took over. Maybe someone should try and overturn the 1936 New York Supreme Court decision after all these years! Hi Chris, doesn't this drink have an interesting history? And it has such a great flavor, which is best of all! Thanks for the comment. Hi Fran, lots of fun stuff behind this drink, isn't there? ;-) But drinking it is the most fun of all! ;-) Thanks for the comment. I could use one now. I love the way these really quench your thirst and it is hot outside today! Plus this is so simple, even I could do it! Hi Charlie, homemade grenadine is the best! It's essentially simple syrup, made with pomegranate juice instead of water (nice to add a bit of orange flower water too). Thanks for the comment. Hi Abbe, these really are refreshing! And extremely easy to make - always a good thing! Thanks for the comment. Hi Anne, seconds are always a necessity with this drink! Really a nice one - thanks for the comlment. Hi Debra, aren't the legalities a hoot? ;-) And the color is wonderful, IMO. Thanks for the comment. Can't say that I've had a Bacardi Cocktail, John, but those photos of yours sure makes them look appealing! Your cocktail posts are always a good read. Aside from sharing the correct recipe and method for creating each cocktail, you give us its history, whether that means how it got its name, how it was created, or, in this case, pertinent legal issues. Thanks for taking the time for us. Hi John, it's a good drink - if you like lime, worth having. I'm glad you enjoy the cocktail posts - they're a lot of fun to write. This one was much more involved than many because there's so much going on with the Bacardi company! Thanks for your comment. Perfect drink on a summer day! I love adding lime to cocktails for that extra kick. Hi Rosa, it really is a super drink - and kinda pretty, good. Thanks for the comment. Hi Nee, hubby will thank you! And you'll thank yourself for making it once you taste it. ;-) Thanks for the comment. Hi Gourmet Getaways, it really is rather attractive, isn't it? Tasty, too! Thanks for the comment. Hi Natalie, rum and lime play so well together! A really great combo. Thanks for the comment. Such interesting history John! I'm fascinated. Thanks for going to the effort of writing such a rich background to this cocktail. Makes me appreciate it even more! I absolutely love rum cocktails with lime. My husband and I are big Ron Matusalem fans though (white and gran reserva). It's the only rum brand in our liquor cabinet at the moment. Oh no! I'm guessing I can't use it in this cocktail or someone's gonna track me down for treason to the Bacardi brand... eek. Haha. Love this post. Thanks! You are calling my name with this gorgeous, colorful cocktail, John! It looks sensationally refreshing and perfect for beating the Texas heat! Lovely recipe. I'll be trying it soon, for sure! Hi Laura, I've not had Ron Matusalem,though I've heard good things about it - I need to try it! But of course not in this cocktail. ;-) Glad you enjoyed the post,and thanks for the comment. Hi Georgia, this cocktail is great for the hot, sultry weather I'm assuming you're "enjoying" in Texas right now! Thanks for the comment. Wow you're always a wealth of information. Great looking cocktail. When are you going to write a book. Also, love your watermark. How did you create that? A refreshing drink like this is perfect for summer! I didn't know you could make grenadine. Sounds great! Man, I haven't had a good cocktail in years. I'm thinking that needs to be remedied. Heh. Hi Purabi, isn't cocktail history interesting? Always so much to learn. I agree the color on this is quite nice, and worth trying for that reason alone. Thanks for the comment. Hi Vicki, the watermark is an action I put together in Photoshop. It's actually one Scott Kelby created and describes in several of his Photoshop books. And no plans to do a book - in the blog I'm writing probably 150,000 words a year, which is enough! Thanks for the comment. Hi Laura, your own grenadine has great flavor, and is easy to do. And this is such a great summer drink - so refreshing! Thanks for the comment. Bob, you've been slacking! You really need to make yourself something decent to drink. ;-) Thanks for the comment. Hi Liz, isn't all that history interesting? And I think if you make your own grenadine you'll have a new appreciation of it. And it only takes a few minutes! ;-) Thanks for the comment. I'm loving this cocktail series, John! And I'll definitely be making my own grenadine now. Thanks for sharing! Time for some summer sipping. Really? The NY Supreme court made a ruling about this drink!? Must have been really, really important after prohibition. Interesting story John. As well as a very interesting drink. I've never even heard of it. I have heard of Bacardi. That was the popular "hard stuff" in high school and college, many years ago so I can say that I've drank quite a bit of it. :) I've never had this cocktail however and it certainly sounds like it would have been perfect for one of the Supreme Court's rulings yesterday. Sounds like a great drink for the 4th! Thanks! Hi Hannah, the Summer Sippin' Series is tons of fun, isn't it? Loads of new drinks to discover. ;-) Thanks for the comment. Hi MJ, isn't the history of this drink (and Bacardi) fascinating? This is a super drink, and if you ever have a bottle of Bacardi and some homemade grenadine! - handy, it's worth making. Thanks for the comment. Hi Bam, isn't the history interesting? I never knew yeast was so important in making rum! Thanks for the comment. I love the color of this drink - and what an interesting read! Hi Donalyn, legal lore is kinda fascinating! And this really is a great drink! Thanks for the comment. Hi Jeanne, isn't the color wonderful? Glad you enjoyed the post, and thanks for commenting. Oh em gee John. This makes me wish I could partake. It's freaking pink man. Pink. You are a cocktail genius. One day I'm going to throw caution to the wind and whip up a dozen of your best cocktails and to heck with the IBS. There's been so many I'm dying to try. This is going on the top of the list. Hi Kim, it is indeed pink! Pretty, isn't it? Really too bad you can't partake, but I'd listen to your IBS if I were you. Bummer, though. Thanks for the comment. lol fantastic story. It makes sense since the name of the cocktail contains Bacardi. Yet I think this cocktail would be made with any kind of rum here without that anybody would realize. They would get an empty Bacardi bottle, fill it with some regular white rum and fool drunkards like that. The heat has arrived, and refreshing drinks are in order! Love the blush color. And rum! Hi Helene, isn't this a great color? Homemade grenadine isn't as vibrant as the commercial stuff, but its color is wonderful in this drink. Thanks for the comment. Hi Lisa, summer is meant for sippin'! ;-) Drinks do seem to taste so much better when the weather is hot, don't they? Thanks for the comment. Hi Barbara, I used a soft box and/or a gridded spot for the photos (with flash). Sorry about that craving thing. ;-) Thanks for the comment. Hi Kiran, it really is a nice summer cocktail - wonderful flavor! Thanks for the comment. You are the greatest when it comes to cocktail photos...the Bacardi cocktail looks fabulous. I have never had this cocktail even though daiquiris were one of the first cocktails that I learned to enjoy. I drink Bacardi but prefer Bacardi Eight served neat in a brandy snifter. Hi Karen, I've not had Bacardi Eight - I definitely need to try that. 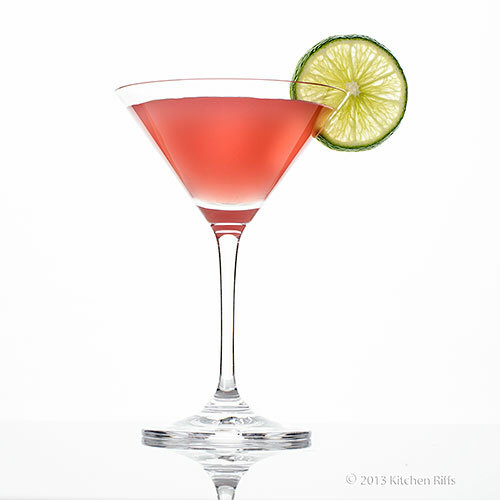 The daiquiri (served up, not to sweet) is one of my favorite cocktails. This is almost as good, and has such great color. Thanks for the comment. Hi Ali, isn't it a nice looking drink? And extremely refreshing! It's been hot hot hot but now we're in a cool spell - it's even going to get down to 62 degrees F for a couple of nights! Not typical at this time of the year. Thanks for the comment. Hi Maureen, wouldn't that be nice? ;-) Alas, unlikely to ever happen - but you can cheer yourself up by having one of these! Thanks for the comment. Hi Raymund, I'm still not where I want to be, but I'm getting there. ;-) Thanks for the kind words, and comment. Besides the great cocktail - Portugal's under some really warm weather lately - today was around 37ºC around here - your advice on making our own grenadine made me think. It's really amazing how we trust the food and drink industry so much - and we can't spend all our days only using organic food, no matter how great it would be - but then there's always something like that happening. It reminded me of the discovery, a few months ago, that many lasagnas in Europe contained horse's meat instead of cow's meat. Hi Alex, I remember reading about the horse meat in lasagna scandal! And although we can't make everything ourselves, fortunately grenadine is fairly simple! We've been having warm weather, but it's quite pleasant at the moment - in the 70s (F). Thanks for the comment. This looks so nice and refreshing sounds perfect for the warm summer days. Hi Dawn, it's a great drink! Super flavor, plus it looks so nice. ;-) Thanks for the comment. Always enjoyed and admire your beautiful pictures, they are very professional. 2 thumbs up for you. Hi Amelia, I'll be happy to make one for you. ;-) Actually I expect I'll be making this over the weekend! Thanks for your kind words, and comment. Hi Terra, it's really worth making homemade grenadine - its flavor is so superb! Ant it's perfect in this cocktail. This is truly worth making, and I hope you do. :-) Thanks for the comment.